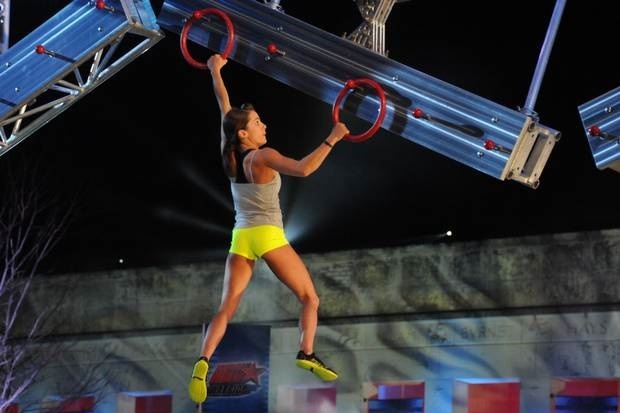 Please understand you don’t need to be a fitness superstar to be on Australian Ninja Warrior… it’s not at all about proving who can do the most pullups. It’s an obstacle course, sure, but at it’s heart it’s a television show about people rising above the obstacles in their life. It’s an inspiring reality television show designed to build people up. We talked to a lot of people last year, and so many told us about how much they want to be on the show or attempt the course, but I honestly think that’s the wrong way to look at it… think about the thousands of applications the show gets, then think about why should the producers select you? What can you bring to the show that the audience would love? Now, once you’ve got that figured out, it’s time to get training. Access to obstacles is helpful, but not essential. You can develop everything you need in a normal gym, or in your environment. Everyone focuses on strength (particularly grip strength) but it’s only one part of the puzzle. You’ll need flexibility, balance, durability, endurance and technique. The course is tough, so you’ll need some conditioning to get through it and prevent injury in the lead up. We’ve got a ton of exercises and strategies for you to try on this website, but I’d also recommend looking into working some rock climbing, parkour and calisthenics into your training week. If you can, try to get to one of the Ninja gyms set up in Australia to help you refocus your training and highlight any areas you might need to work on. Click on our Ninja Gym section here. Using American Ninja Warrior as an example, only 30% of competitors make it to the 3rd obstacle. So, if you only work on the skills you need for obstacles 1 and 2 you’ll make it further than the majority. Easy! Scroll through my blog posts and read anything that takes your fancy. I’ve written a heap of stuff in bite-sized chunks for you to get your head around what you’re in for. Here is a link to the blog page. For those who’d like a comprehensive guide to your Ninja Warrior training, check out my eBook: How to train for Australian Ninja Warrior. Obviously there are heaps of different ways to train, but this eBook details what I’m doing, how I’m doing it and some tips and tricks for training and for competition day. If you’re interested, I’m also happy to help develop a training plan tailored to current strengths, weaknesses and activity levels. Happy to work with you over e-mail or Skype to make sure you understand the various exercises and techniques. Get in touch. Shoot me any questions you might have, I’d love to hear from you. Let’s go Aussie Ninja Community!